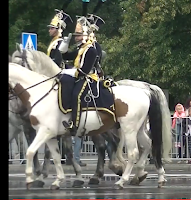 we marched in Warsaw this afternoon - I rode with the Vistula Lancers - thanks to Krzysztof Komaniecki, Vistula Lancers, for all his help and support! Also Darek Senator - wielkie dzięki! And Marek Drabik too! Arsenal.org.pl is collecting money for a historic plaque to be placed at the Chantily Castle commemorating the Polish Lancers of the Guard stationed there during the reign of Napoleon I, emperor of the French. I finally met Marcin Piontek from Stowarzyszenie Arsenal who commanded a small unit of the Polish Guard Lancers at this event. 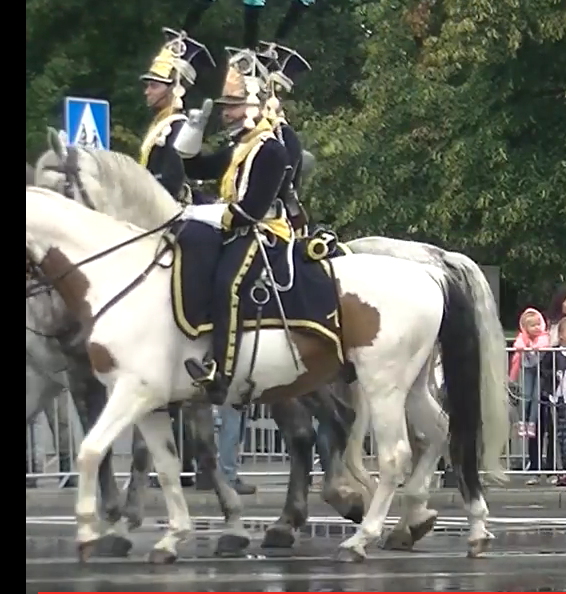 Also, I met in person Michał Sanczenko, who rode as a winged hussar in this parade.